"Scott Wolfson & Other Heroes is a talent-laden band. 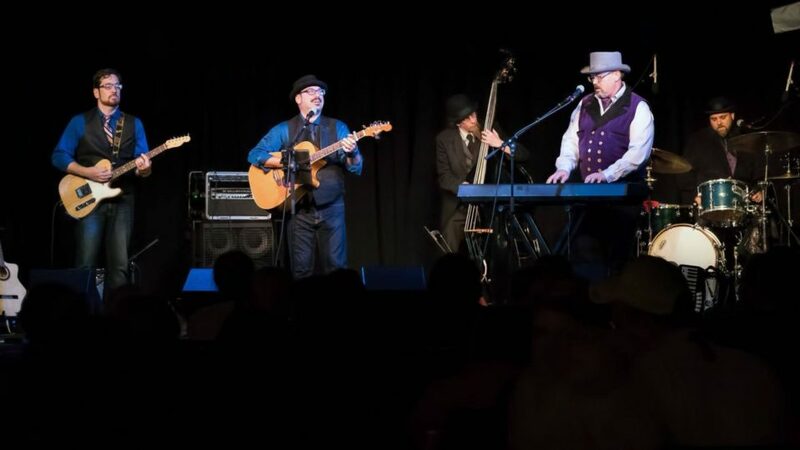 They're equally comfortable going electric or acoustic..."
"Listen to these dudes…these people are magicians…wizards…"
"Their inspiring set, had everyone on their feet singing and dancing in a spontaneous celebration..."
Folk Music Note Book, Sing Out! 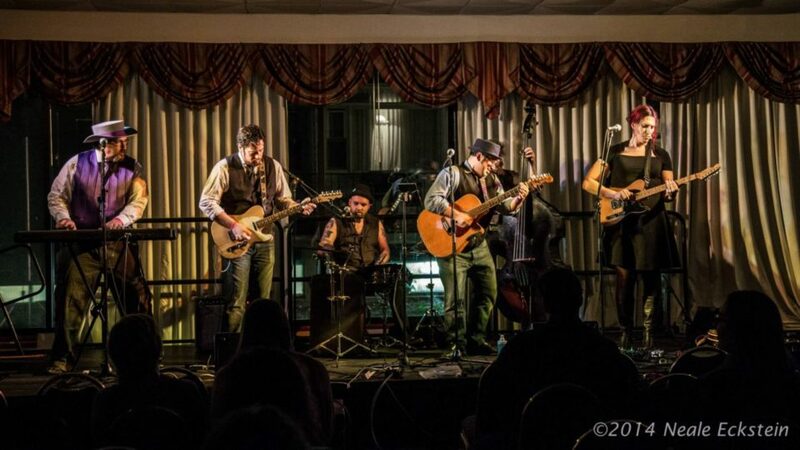 "The band plays an Indie Folk music that could work on street corners or big stages." "Wolfson will not only defy the norm, but all expectations as well." Check out the band promo, folks! Here’s a video with a bunch of nice things people have said about the band without payoffs or blackmail! Check out more video goodness! 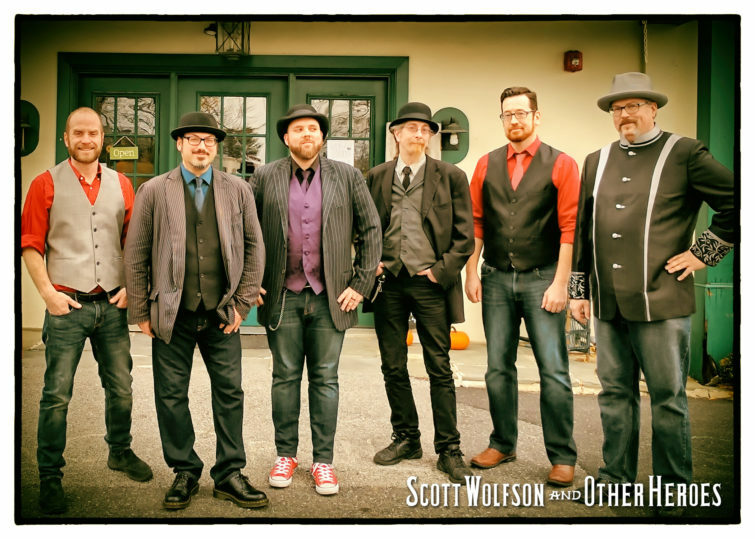 The official video for the lead single from Scott Wolfson and Other Heroes' 2016 Album "Welcoming the Flood". 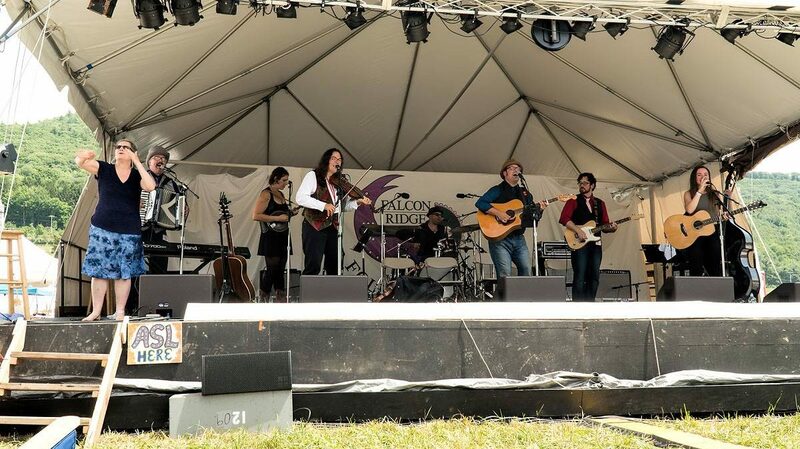 Scott Wolfson and Other Heroes performing the biggest hit from their 2014 debut album "Life on Fire" at Riverfolk Concerts in 2017). Scott Wolfson and Other Heroes performing their version of the Woody Guthrie song acoustically at a house concert in 2018. 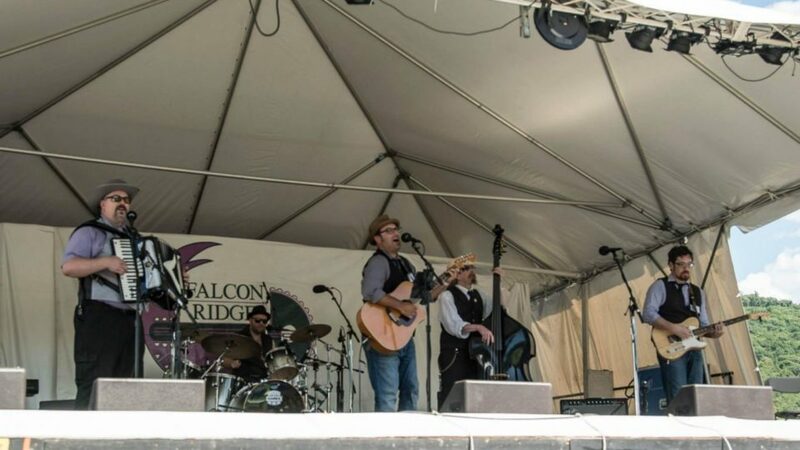 Feature and live video from a mainstage performance, bookended by a campfire stage performance, at the Falcon Ridge Folk Festival where the band had been voted to return as a Most Wanted act. Scott Wolfson and Other Heroes performing a new song off of their up-coming album "Flying Backwards". A live version of the hit from their 2016 album "Welcoming the Flood", the first show with new slide/mandolin player Mike Bell. Time: 8:00pm. Age restrictions: All Ages. Address: 781 Smith Road. The most recent past show. Use the dropdown menu to see all of the past shows by year. Time: 3:30pm. Admission: $20 advance, $22 door RAA / SSG / Jersey Arts Marketers members receive discounts!!. Address: Investors Bank Theatre, 72 Eyland Ave. With folk powerhouse Katherine Rondeau opening! Scott Wolfson and Other Heroes sing the music of, by, and for outcasts and outliers. When Scott Wolfson and Other Heroes take the stage, they’re not just playing a show. Their vibe is party, reunion, and catharsis in one – the energy of their tunes is hard to miss, but each song carries the weight of humanity’s dark corners. When Ron Olesko at Sing Out! Magazine wrote of “their inspiring set” creating “a spontaneous celebration,” he witnessed a celebration in the face of pain and loss – of outcasts finding their people. A Scott Wolfson and Other Heroes show is an exercise in the unexpected. As No Depression said, “…Wolfson will not only defy the norm, but all expectations as well.” Their mix of talent and wit has brought acclaim as Most Wanted Artists in the Falcon Ridge Folk Festival, Formal Showcase Artists at the Northeast Regional Folk Alliance, and frequent performers at The Philadelphia Folk Festival. And now, with two airplay-charting albums under their belts, they have begun recording their most ambitious and expansive studio work yet. Scott wasn’t “normal” growing up. The feelings expressed in pop music were like another country – he craved songs that told different stories, of the world as he saw it, with people who shared his own strange emotions and struggles. Those songs were tickets to worlds where joy was possible, sources of strength in troubling times, and comfort that in the darkest hours he was not alone. If his music has a unifying message, it’s that we who don’t belong, belong to each other. The Other Heroes share similar stories – kindred spirits who don’t fit the usual boxes either. Together, they try to create that solace anew – for those who are “other” to find their “heroes.” Their shows are celebrations of power for the powerless. Taking inspiration from past and present – folk and roots rock artists like The Limeliters, The Band, and The Byrds, and more recent flag-bearers like R.E.M., The Decemberists, and Jason Isbell & The 400 Unit, Scott Wolfson and Other Heroes take a folk rock canvas and weave in big helpings of Broadway, Jazz, Blues, and Country, giving them a sound both familiar and unique, distinctly American and part of a broader world. As much as fans love Scott’s songwriting for lifting up the lives of the unsung, newcomers are often surprised by the range and tight musicianship of the band. No Depression wrote, “Listen to these dudes…these people are magicians…wizards…”. 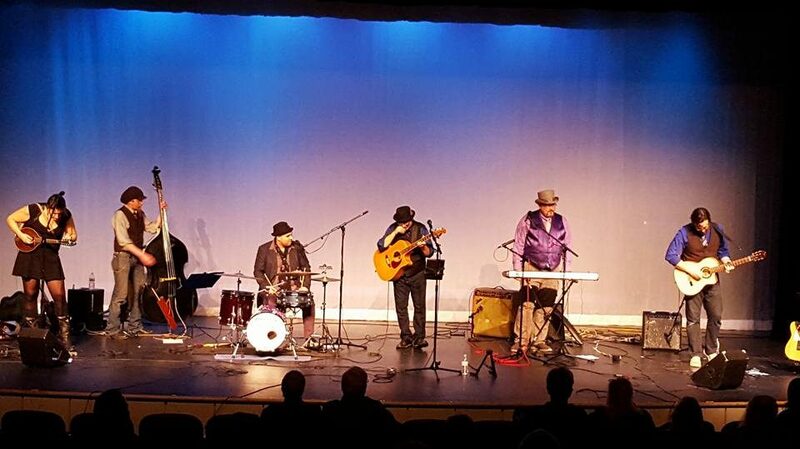 Skyler Bode, Kirk Siee, Matt Laurita, Chris Kelly, and Mike Bell are not only skilled players, but musical shapeshifters. And they’re total characters to boot, with personalities born of shared histories as outliers. Listeners on the lookout for wicked humor and off-beat sensibilities to call home, will find more than they bargained for here.. 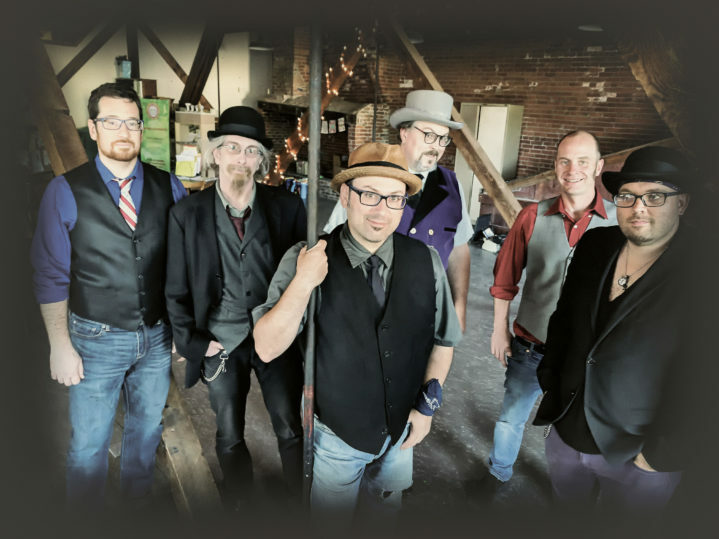 The Alternate Root Magazine calls them “…an Indie Folk music that could work on street corners or big stages.” While the band loves the circus they bring to festivals, visitors to their house concerts and listening rooms soon realize that their intensity works in smaller settings too. As John Platt of WFUV said, they’re “…a talent-laden band. They’re equally comfortable going electric or acoustic.” And it’s just not a Scott Wolfson and Other Heroes show until the good-natured ribbing starts. The band thrives on it, and loves the connection such intimate shows bring with an audience. If you’re interested in booking the band (and why wouldn’t you be) please use the handy-dandy form and we’ll get back to you as soon as our little hands can manage.